If you have any questions about the BLUSH information page below please contact us. 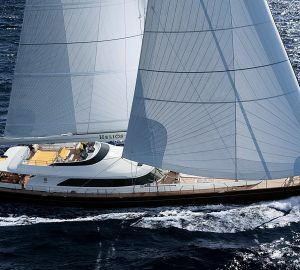 Sailing yacht BLUSH (EX HELIOS) is a 45 meter 2007 luxury sailing yacht built by the Italian yacht builder Perini Navi and designed by Ron Holland design. 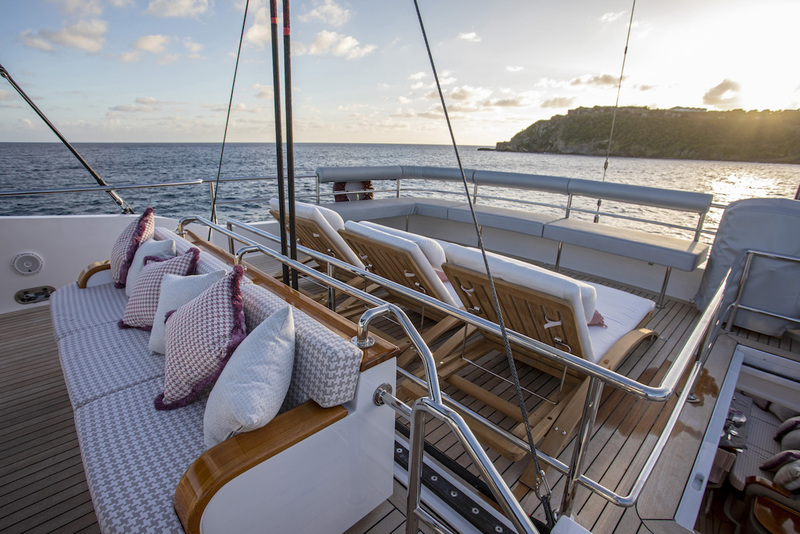 With refits by Perini Navi Service and Refit facility in 2015 and another full soft furnishing refit in 2018, superyacht BLUSH offers accommodation for up to 10 guests in 4 - 5 luxury cabins. 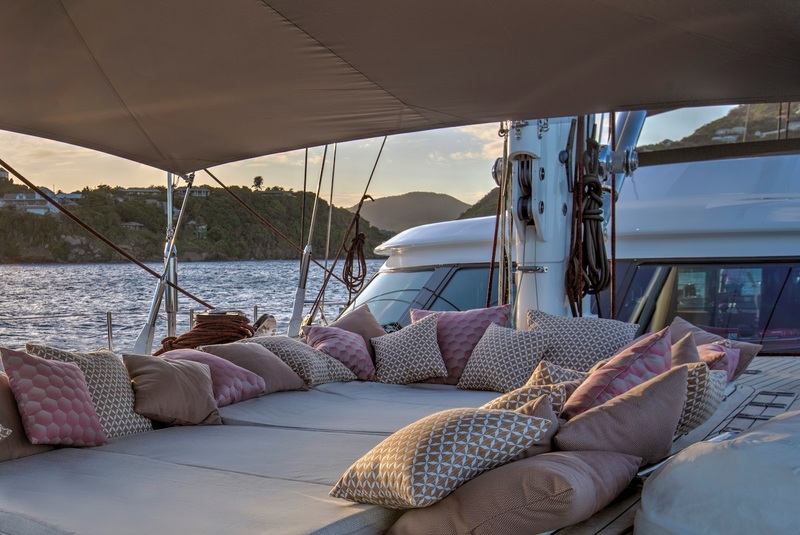 BLUSH is the result of collaboration between the well known Italian yacht builder Perini Navi and well know superyacht designer / naval architect and Ron Holland. She is the second steel-hulled 45-meter yacht to be launched by Perini. 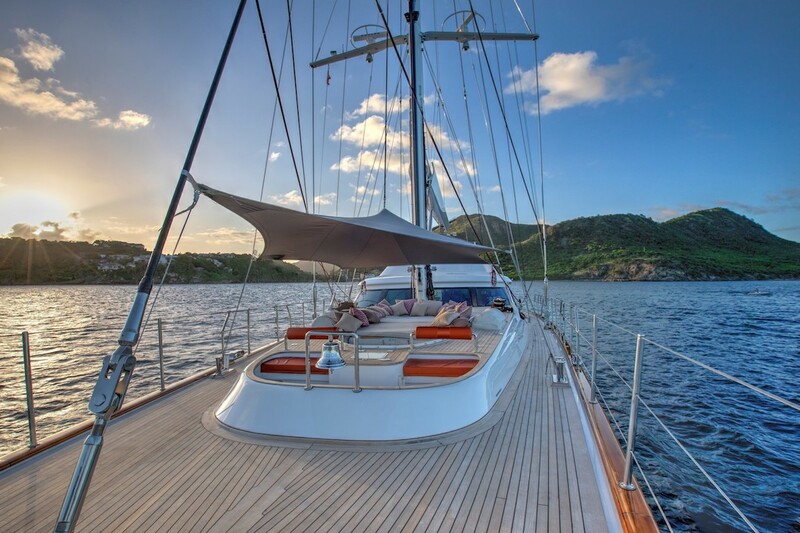 The large sail area provides the best possible sailing performance for this ocean cruising yacht which also boasts a particularly large internal volume. 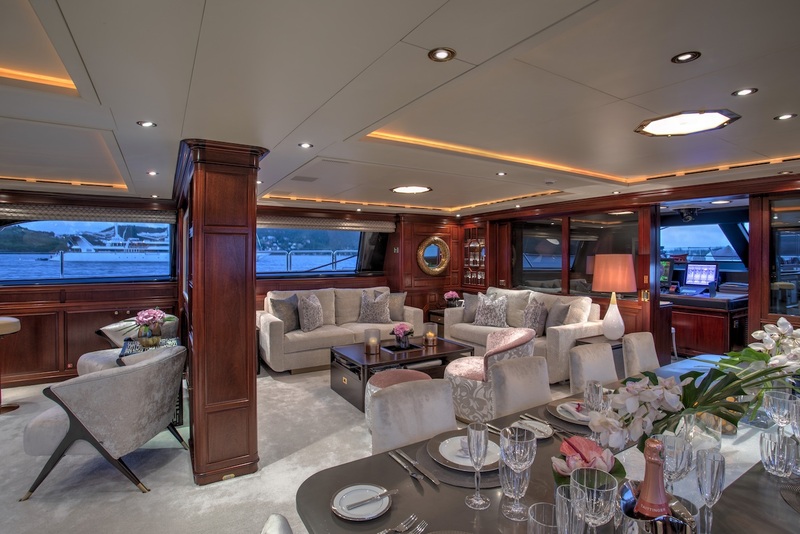 The interior was designed by SallyAnne Holmes and is a blend of mahogany wood with modern metallic and dusky pink hues. 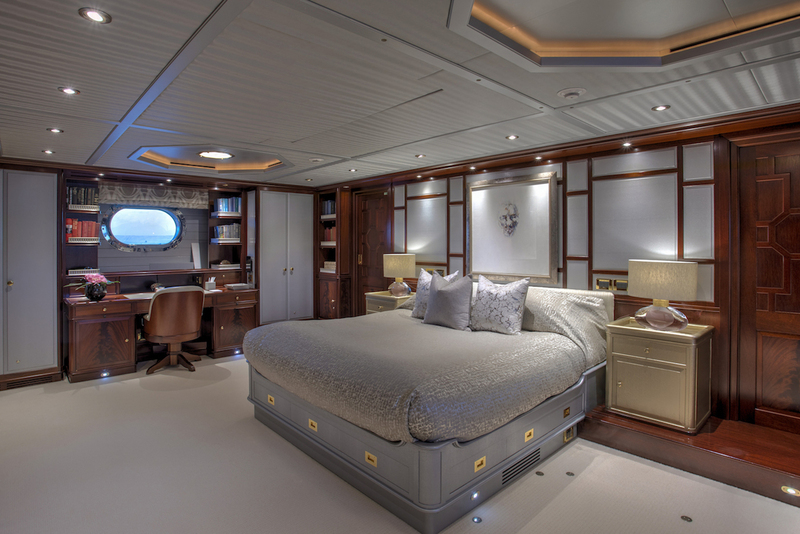 The master and guest staterooms are particularly versatile in that they can be transformed into a variety of configurations. 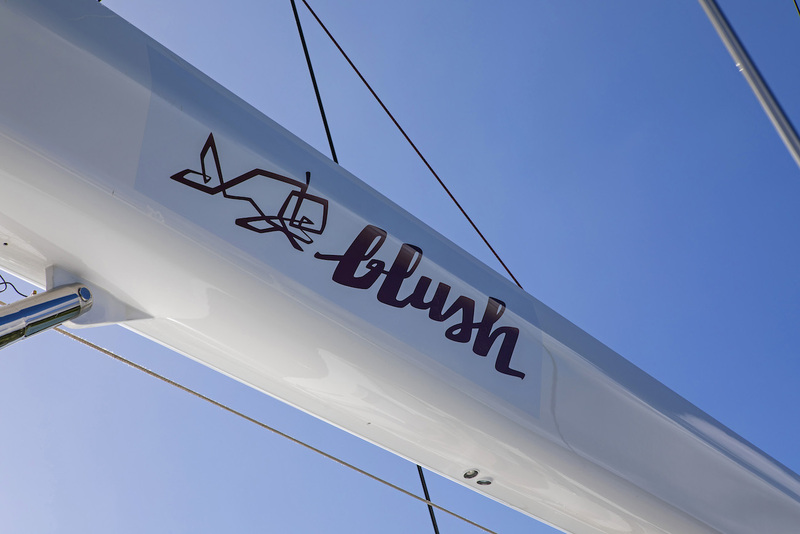 BLUSH has additional interior space and beam which has resulted in additional displacement and increased a wetted surface area of the steel hull and drag. 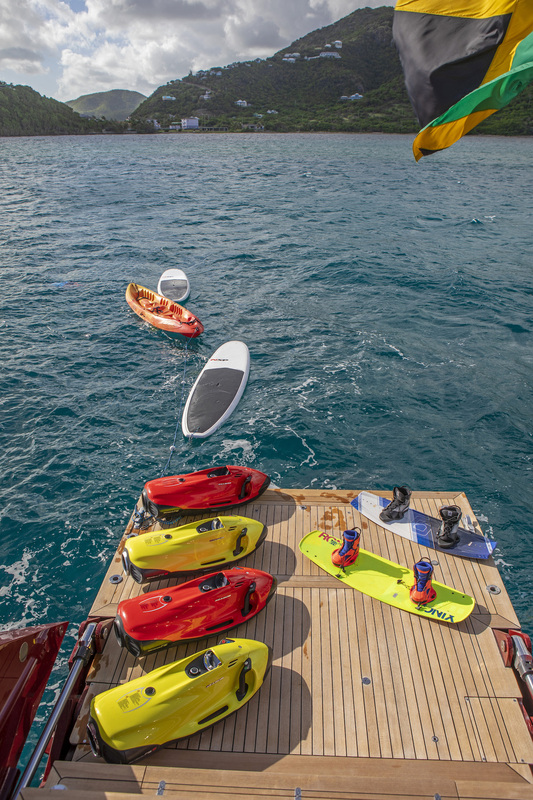 This has been absorbed into the luxury yacht’s hull shape to ensure that added drag was kept to an absolute minimum and sailing performance maximised. 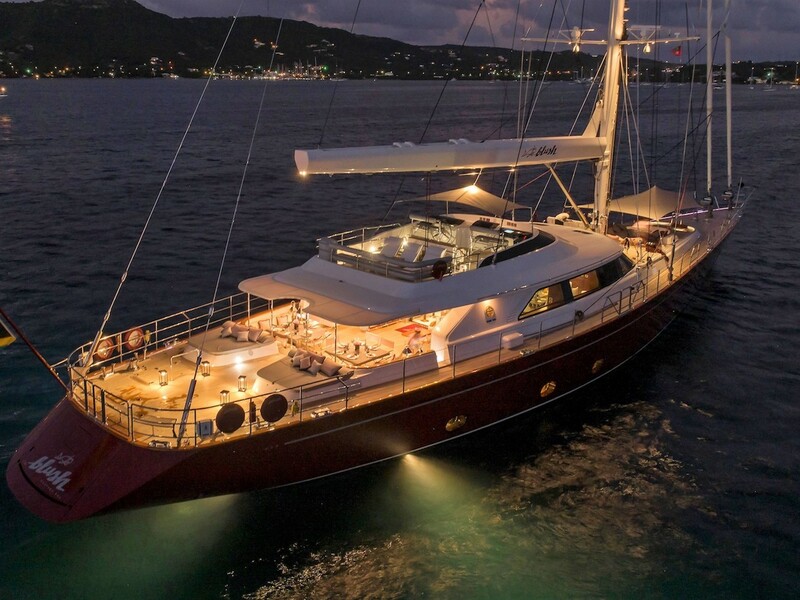 The yacht also incorporates efficient underwater appendages, including a rudder with a relatively high aspect ratio as well a drop keel. 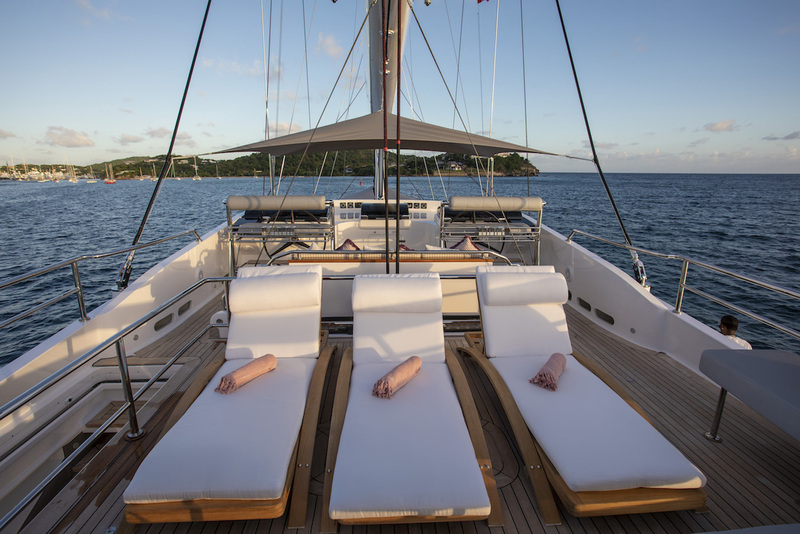 The Perini Navi-built aluminium mast that rises over 50 metres above the yacht’s waterline carries a sail area of around 1,200m2. 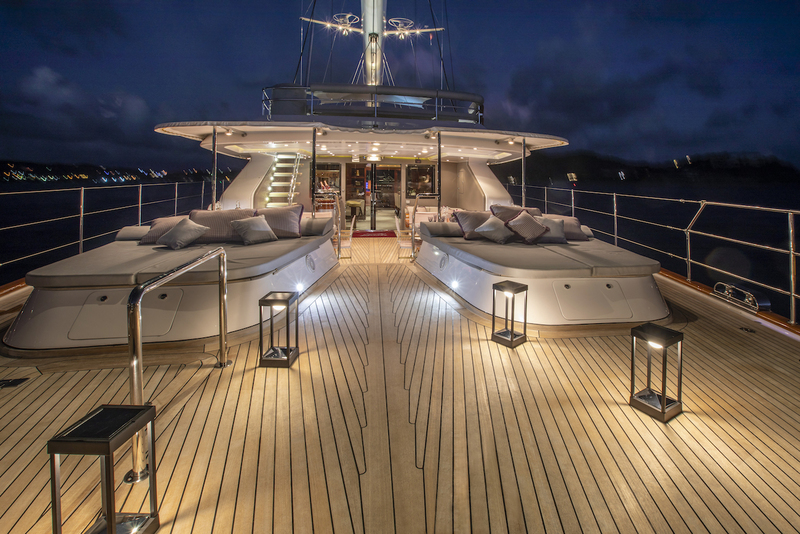 The sails are handled automatically by seven of Perini Navi’s reel captive winches. 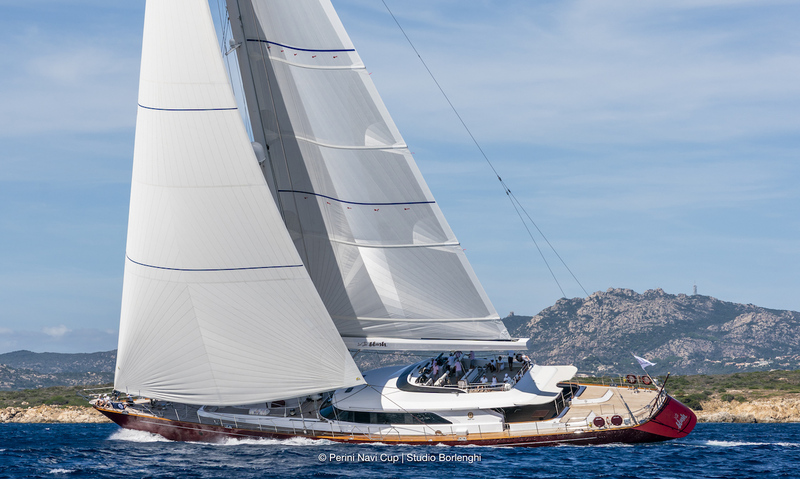 Perini Navi electric furlers and the in-boom furling system stores the 432m2 main sail within the carbon fibre boom. 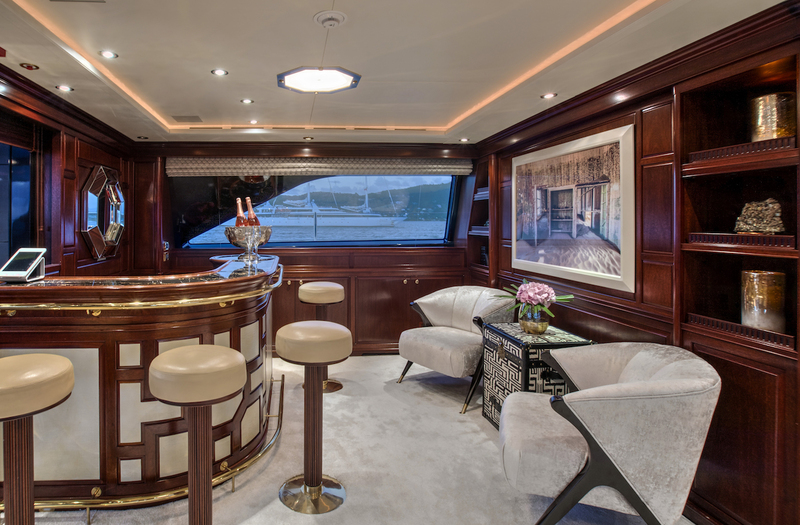 BLUSH's (36m2) flybridge offers a comfortable sunbathing area aft and a helm station forward. The opening stern reveals a structural staircase that descends to a 7m2 swimming platform with a lateral shell door on the yacht’s port side. This is where all the water sports activity and swimming takes place. 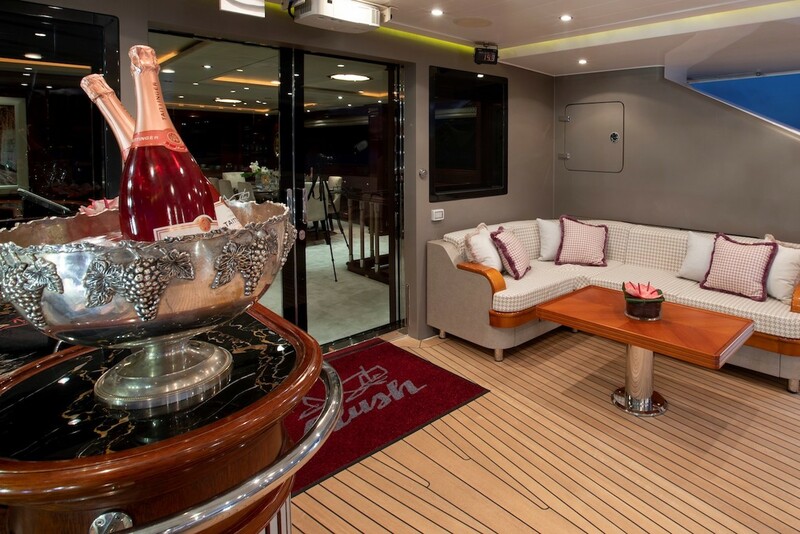 S/Y BLUSH has been designed to accommodate up to 10 guests in 4 to 5 luxury cabins. 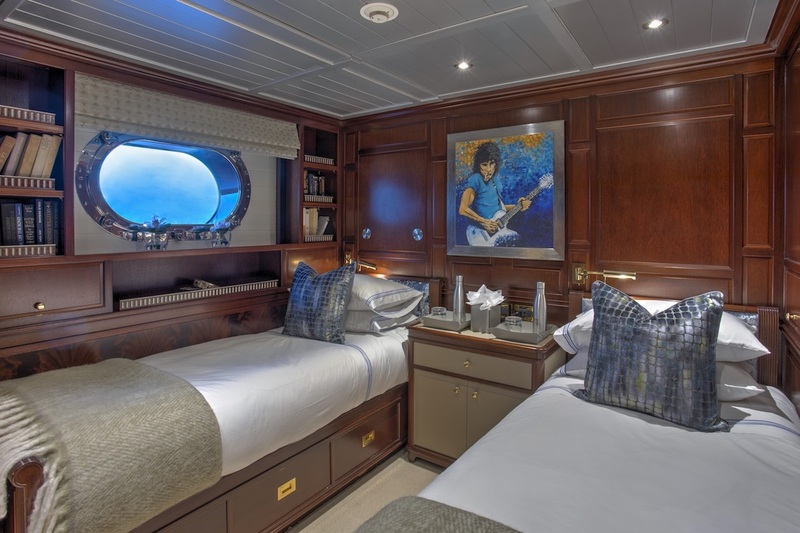 Her Master stateroom is located in the aft of the vessel and can convert into two separate cabins with an additional pull out couch if necessary. 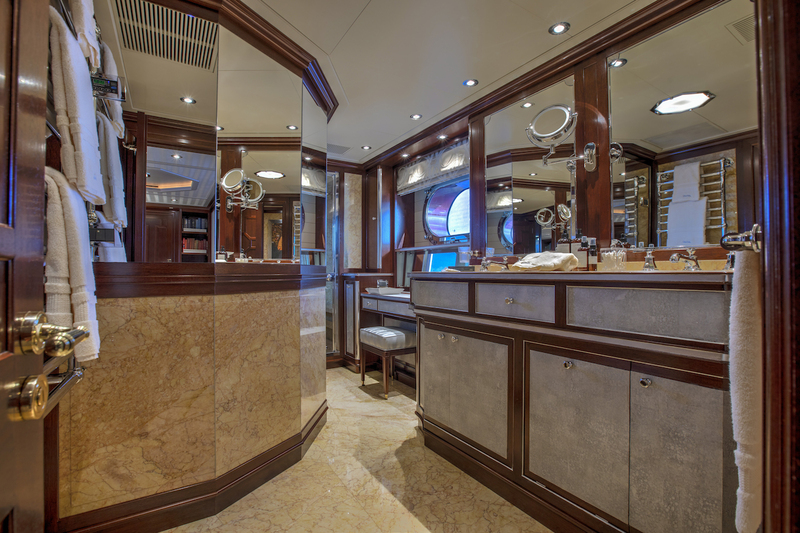 The master stateroom has an ensuite with private shower. 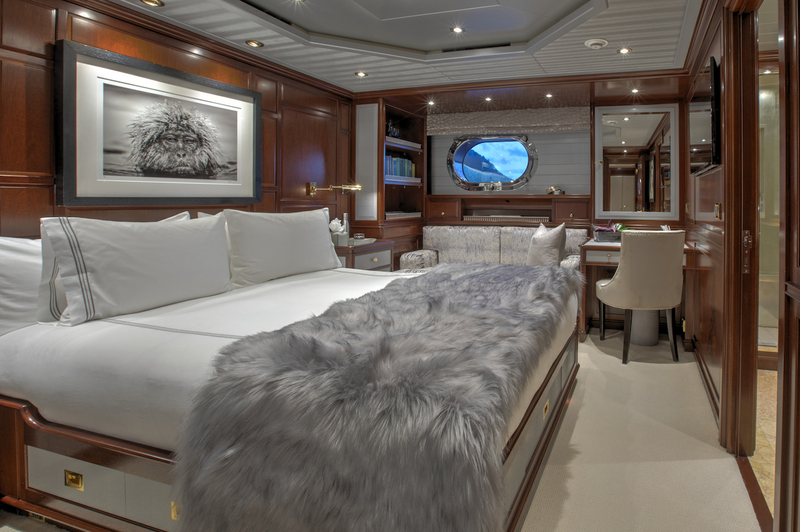 The VIP cabin is also fitted with a King bed and ensuite facilities. 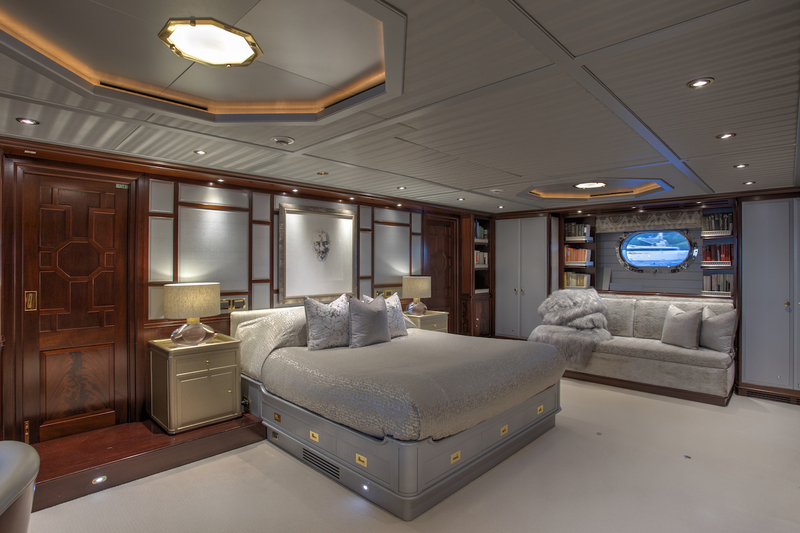 The two twin cabins are located to the port and starboard of the yacht. Both of the twin beds in these cabins can convert to a king bed. 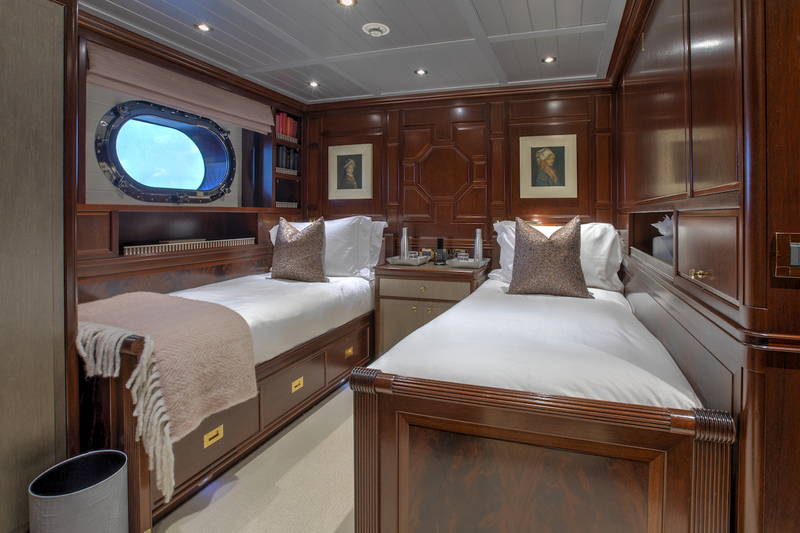 There is one Pullman bunk in the starboard suite and 2 Pullman bunks in the port suite for a total of 3 additional bunks that can be utilised making her a very versatile yacht able to accommodate up to 10 yet still be comfortable and roomy for smaller groups. We do have available further amenity, owner and price information for the 45.30m (148' 7") yacht BLUSH, so please enquire for more information. 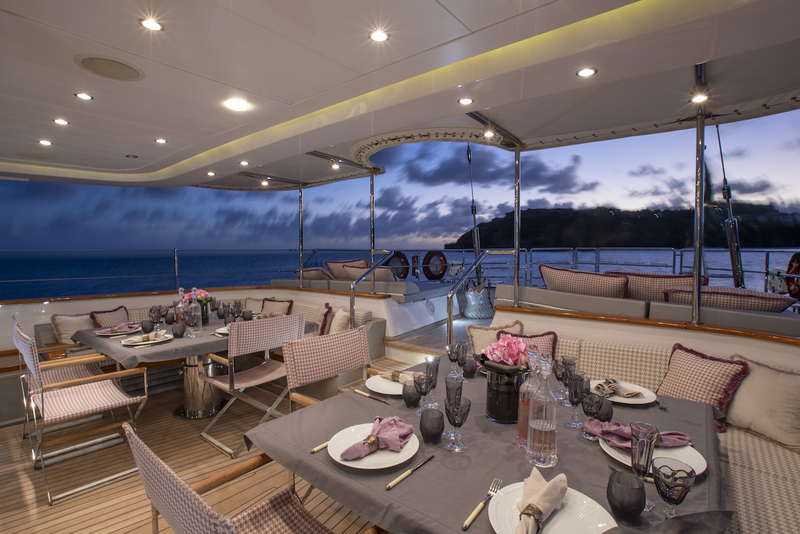 The luxury yacht BLUSH displayed on this page is merely informational and she is not necessarily available for yacht charter or for sale, nor is she represented or marketed in anyway by CharterWorld. This web page and the superyacht information contained herein is not contractual. All yacht specifications and informations are displayed in good faith but CharterWorld does not warrant or assume any legal liability or responsibility for the current accuracy, completeness, validity, or usefulness of any superyacht information and/or images displayed. All boat information is subject to change without prior notice and may not be current.